Eeeeeeeeeeeeek!! I'm so excited to show off our matching shirts I got for our Disney World trip this year. Yes, we are not going for a while but when I saw these shirts, I just knew we had to have them! Working with Jenny, the shop owner, was so easy. She was so nice and understanding with my many emails (I really wanted to make sure I got the sizing right, especially since my kids won't be wearing them for quite a few months) - and was so quick with responding, something I always appreciate! Once I decided on sizing, my shirts came pretty quickly! When I opened them, I was soooo happy! 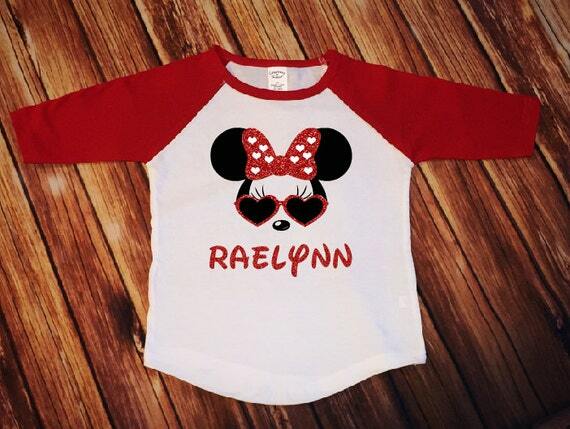 I loved the detail on the "O's" in the Mouse - the girl shirts have a deeper red glitter for the bow and the boys look like Mickey, so fun! 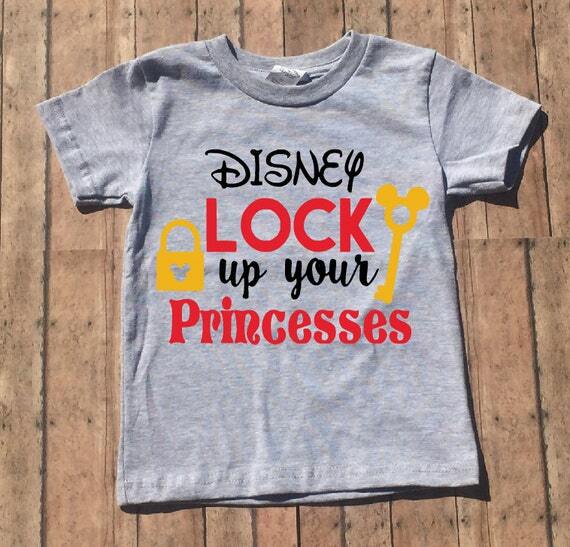 There are so many more adorable fun Disney shirts in Jenny's shop - look at this one! And this one for the boys, too cute! Little Jane Lane also offers so much more other than Disney shirts. 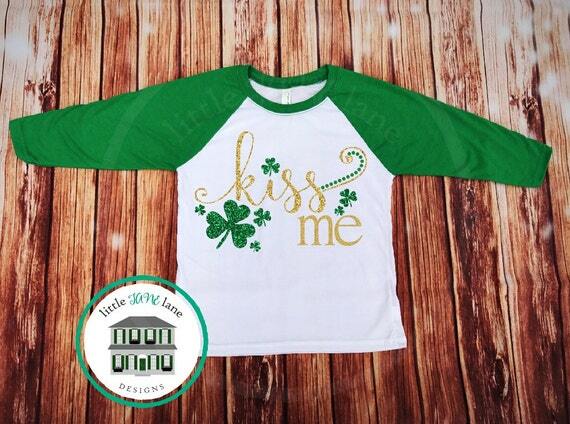 Look how cute this tee is for St. Patrick's Day! If you visit her shop, you will find a shirt for pretty much any occasion and you won't be disappointed. Ordering from Jenny means good quality, good communication, and good delivery. I hope you check her shop out and find something you love! 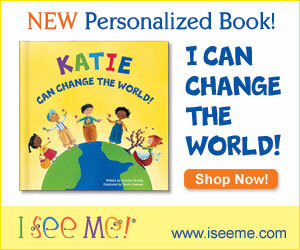 To see everything offered at Little Jane Lane just go here. 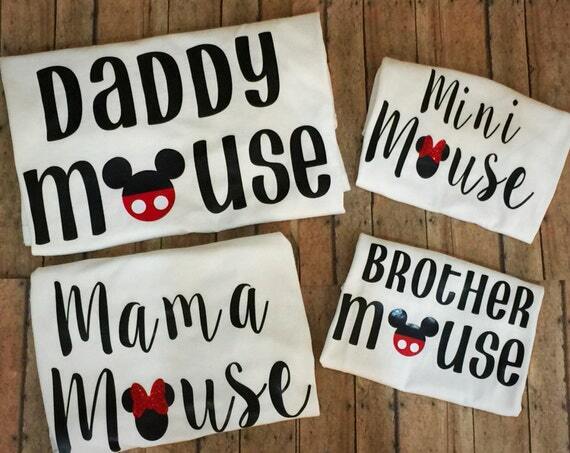 Thank you again so much Jenny for creating the most perfect shirts for my family!! Those are the cutest ever! Can't wait to see a photo of y'all smiling and rocking those shirts. Soooo cute!! Makes me want to go to Disney like tomorrow! They are sooo cute! I'm sure they'll be even cuter on! These are so cute. I love them. Can't wait for your trip! OH.MY.GOSH. 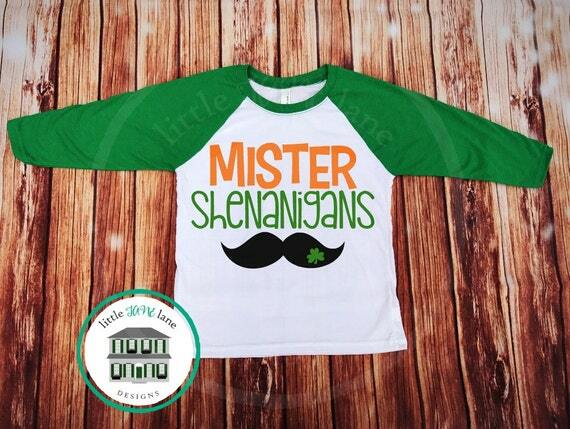 These are so stinking cute!! I will definitely be getting matching shirts for our trip. Brian will probably kill me but I'm sure he'll go along with it! So cute!!!! I love that you got matching shirts!